This week we have once again welcomed holiday campers into the forest and as always it has been lovely to see some familiar faces returning as well as getting to know some new children. The focus for the children this week has most definitely been a desire to work with the tools to create all manner of objects to complement their role playing and activities. At the beginning of the week we started using the billhook to split wood and make our own mallets as the children have been creating small worlds and needed more tools to use. The children were all eager to have a turn, waiting patiently until Marlon called them over. With mallet in hand they hit the billhook and gradually removed sections of wood to create the handle for a mallet. 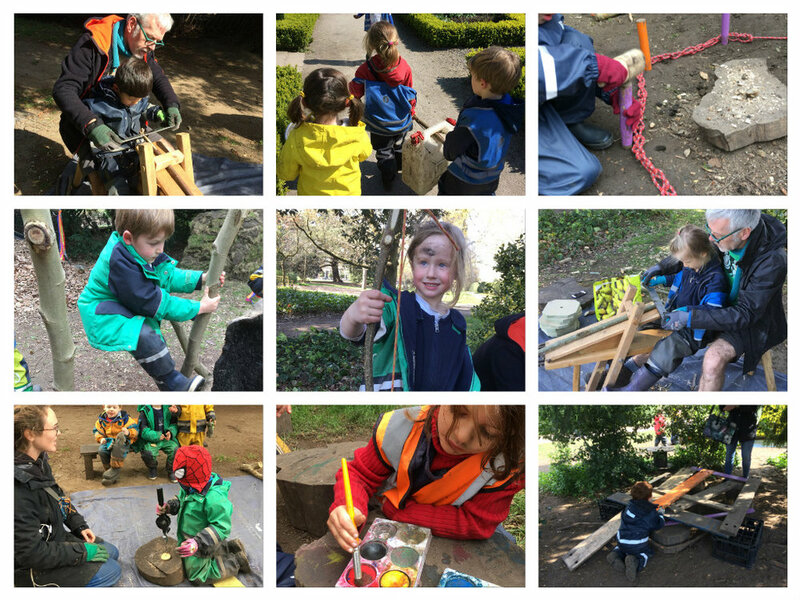 When their mallet was finished they headed off into the forest and explored different ideas and ways of using their mallet to secure sticks and rope in the soft ground. Later in the week it was the turn of the pinion drill. Along with Jo and Bella, the children used the drill to fashion the tree cookies into objects for role play, decorative items and even to create patterns. One of the children decided to drill the first letter of their name into his cookie. The educator wondered where they needed to drill their holes and after some thought decided where they needed to be and drilled the holes to make an ‘I’. When the other children saw he had made his ‘name’ they all wanted to drill their names too. Each child had to decide where to put the holes to make the letter and they all proudly wore their name cookies for the rest of the day. In the second half of the week the children had the chance to use the shavehorse. As this is one of the less well known pieces of equipment some of the children wondered if Marlon was going to use it to shave off his beard! 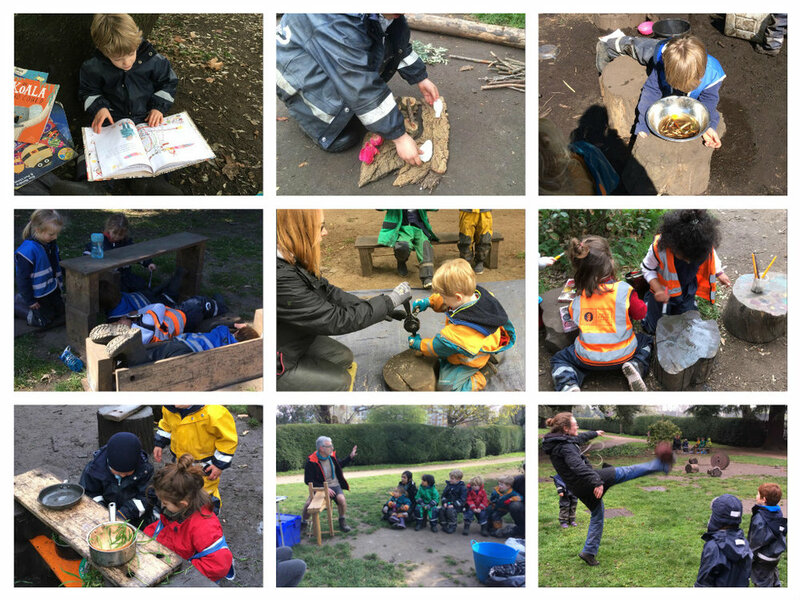 On the first occasion, the children had the opportunity to understand how it worked using the drawknife to whittle down some pre-prepared poles, which they then malleted into the wooden bases to form some improved mobile poles for our boundary ribbons. We cannot wait to see what next week brings and we hope you all have a lovely weekend!